(Inside Science) -- At 5:45 this morning, with the news that he had won half the 2018 Nobel Prize in physiology or medicine a mere 15 minutes old, James P. Allison from the University of Texas MD Anderson Cancer Center in Houston was already blowing up on the web. Soon after the Nobel committee announced its decision to award the prize to both Allison and Takusu Honjo from Japan's Kyoto University for the "discovery of cancer therapy by inhibition of negative immune regulation," searches for the name "James Allison" were returning early news reports from major outlets all over the world. Alongside these breaking stories were dozens of other pages devoted to James Allisons who didn't win the prize -- namesakes from all walks of life. One James Allison from long ago served in the U.S. Congress as a representative from Pennsylvania in the 1820s. James Allison was also the name of the early 20th-century industrialist and inventor who co-founded the Indianapolis 500. Another James Allison, technical director of Mercedes-Benz Motorsport, is also involved in auto racing. A Formula 1 engineer, he previously won world championship races with both Ferrari and Renault. James Allison the astrophysicist at the University of Oxford studies the influence of cold gases on the evolution of galaxies over the past 10 billion years. Telecom analyst James Allison specializes in broadband, mobile, TV and voice providers in Central and Eastern Europe. Architect James Allison of Bennetts Associates in England proposed a new visitor center for Stonehenge and is the project architect for a new student center at Cambridge University. James Allison, the head of real estate for Brewindex, is a consultant in the commercial beer and pub sector. There is also James Allison who runs a building design business in San Antonio and Austin; a pediatrician named James Allison in Houston; James Allison the physical therapist in Tennessee; a real estate agent named James Allison in Cleveland, Georgia; James Allison the commercial freelance photographer in Kansas City, Missouri; and James Allison the IT developer at Williams College in in Williamstown, Massachusetts. One James Allison, a recent Penn State grad, was married this past weekend to his college sweetheart (go Nittany Lions!). Pondering what sharing a name with a rising celebrity scientist would do for one's personal brand, I reached out to several James Allison namesakes for comment, including BYU anthropologist James Allison, who studies some of the earliest prehistoric villages in the Four Corners region of the American Southwest. Reached by email this morning, he said one of his colleagues had already emailed him to joke about how impressed he was that he had a second career in medicine. "I hadn't really thought about whether sharing the name will impact me at all, " BYU's Allison said. "Maybe I'm wrong, but I doubt it will change anything for me." Allison the astrophysicist isn’t worried about being mistaken for the new Nobel laureate. “It feels great to share the name with an eminent scientist who has contributed so much to helping others through his research,” he wrote in an email. One thing that may change for all these other James Allisons could be their search rankings. 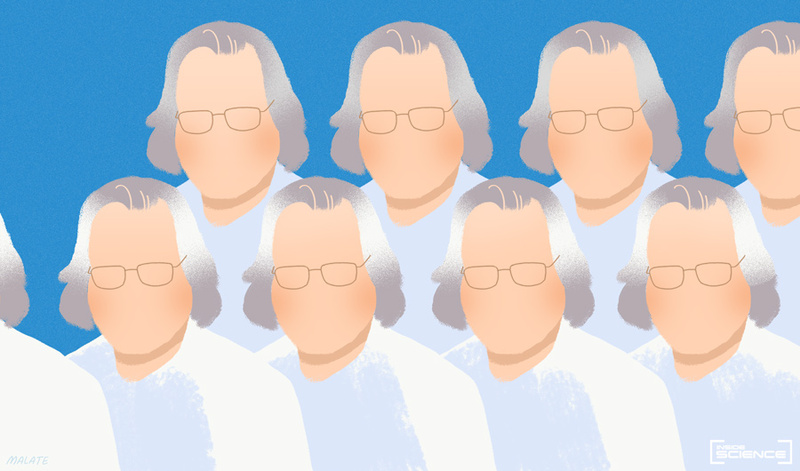 As more and more high-traffic pages pile on for James P. Allison, all the other James Allisons could be pushed further and further down in Google searches. What's a James Allison to do? My suggestion: start to use your middle initial in your online and social profiles -- and hope to God it isn't a "P."